This is to be used for pre-existing datasets that have already been registered in SAS Visual Analytics. 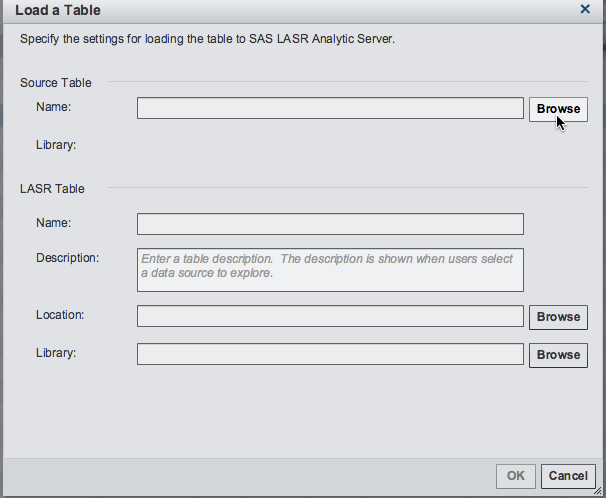 For more information, please refer to the article 'How To: Loading Data in SAS Visual Analytics - Registering a Table'. 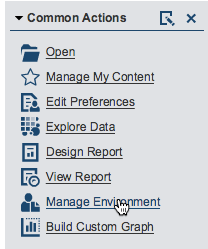 3) Click on the ‘Load a new table button’. 4) You will then be prompted to select the source table and specify information about the LASR location and library. Once this is done, click ‘OK’. The table shall remain in LASR memory until the server stops or the table is manually unloaded.